We R Memory Keepers SMALL PRECISION SCISSORS Cutting Tool 70939-8 at Simon Says STAMP! 70939-8 /1.2 This item is on reserve until If you would like to reserve this item now, you may purchase it now with the rest of your order. We will hold your order now and ship your entire order as soon as this item is back into stock. If you would like your order to ship now, please place this item on a separate order. 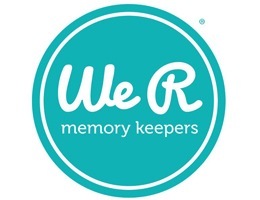 Success, We R Memory Keepers SMALL PRECISION SCISSORS Cutting Tool 70939-8 has been shared! Hardened steel and chisel tip make these scissors great for detail work in paper crafts and scrapbooking. These fit exactly in the new Sew Easy storage case!